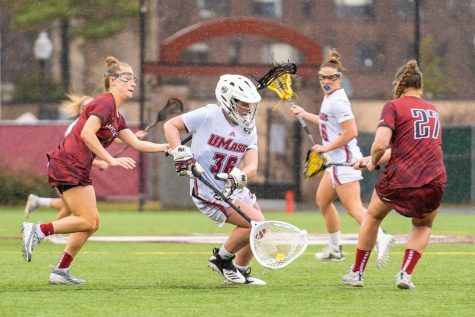 The Massachusetts women’s lacrosse team lost its third straight game to New Hampshire yesterday afternoon, 11-8. The Minutewomen (2-4) came out firing after the opening whistle, scoring two goals within the first three minutes of play. 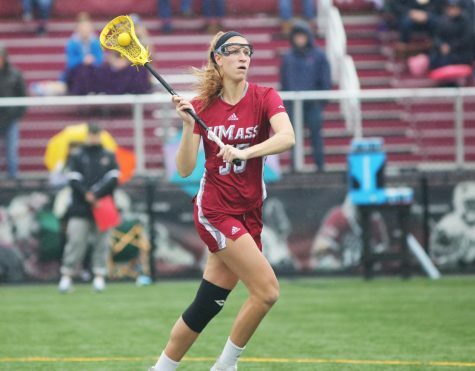 Midfielder Haley Smith knocked in her sixth goal of the season to give UMass an early lead. 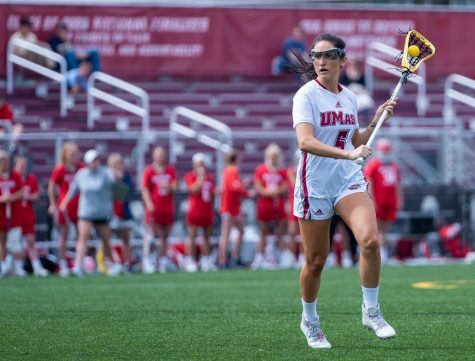 The UMass lead was short-lived, as the Wildcats (3-0) came right back with its own pair of goals as midfielders Hayley Rausch and Kate Keagins scored. UMass took advantage of having the ball again off a dangerous play by UNH,. In one minute, five seconds, the Minutewomen offense scored three goals to lead, 5-2, after eight minutes of play. The first of the three continuous scores came after attacker Jesse O’Donnell cut down the middle of the field. Jackie Lyons found her for the pass, leading to the Chicago native notching her 13th goal of the season. Within 29 seconds of O’Donnell’s goal, Merritt Cosgrove took a shot at the net that bounced off to the left of the field. She retrieved her own rebound and scored. The final goal of the rally came off a free-position shot from midfielder Danielle Pelletier. 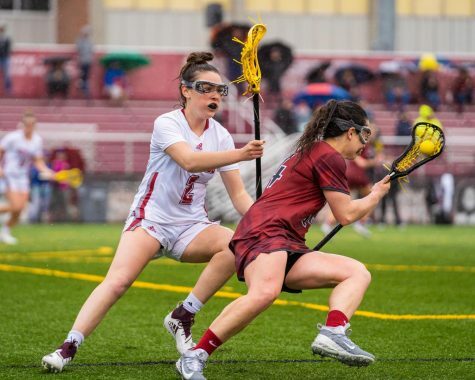 Rausch stunned goalkeeper Katie Florence with a hard shot off a free-position, bringing the deficit down to three goals. 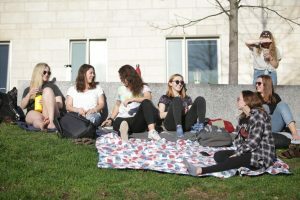 The next eight minutes of play had no additions to the score-line, with both teams failing on their chances at the net. It was attacker Allie Bratton who opened up the game again, notching her first goal of the year to bring the Wildcat deficit to a single goal. 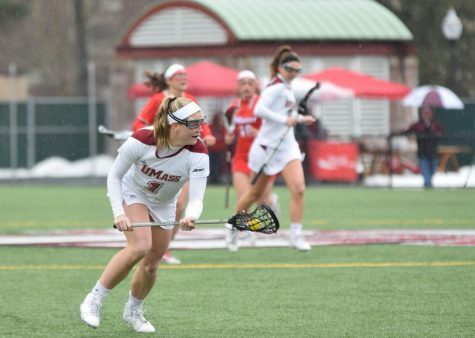 UMass couldn’t find the goal after the 22:21 mark until freshman Lauren Terracciano tossed a pass to Pelletier, who scored her second of the game. 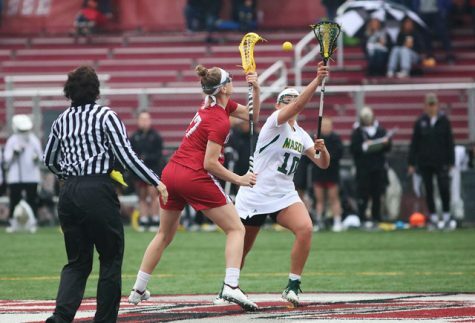 Pelletier had the two final goals of the first half for the Minutewomen. The Wildcats took control once again in the second half. 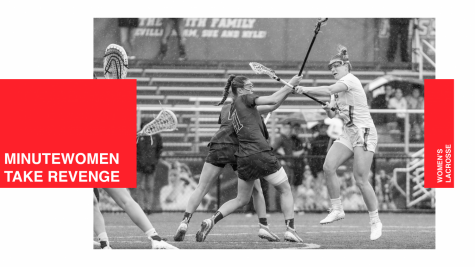 With 19 minutes left and the score tied at six, defender Nazy Kerr mauled Keagins, which led to Bratton scoring off the free-position shot to give her team a 7-6 lead. 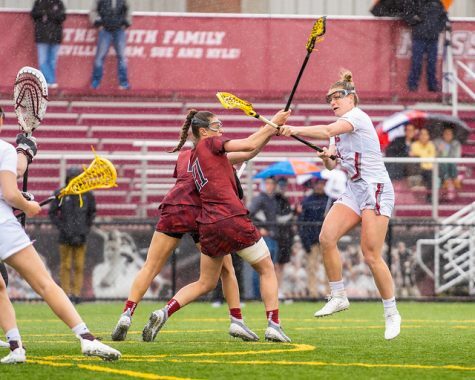 Midfielder Allie Duclos earned a free position shot after UNH was charged with attempting to run down the clock. Right off the whistle, Duclos whipped a shot into the back of the net to cut the Wildcat lead to 8-6. 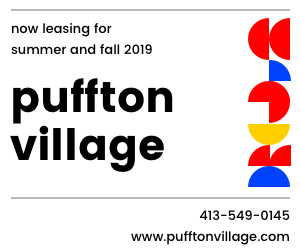 Down three goals, Lyons returned to the field after a yellow card and sparked the Minutewomen offense at 4:35 to bring the deficit down to two goals. 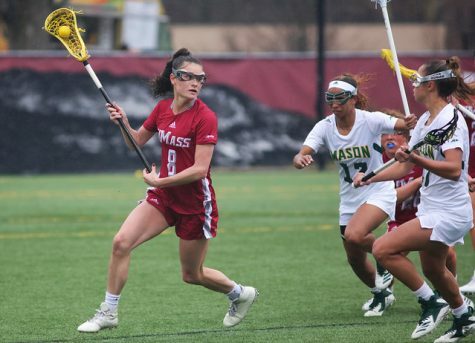 Off the restart, with two quick passes through an open UMass defense, Shaunna Kaplan earned her second and third goals of the game. The Minutewomen will take on Yale next Wednesday in its final game of a four-game home stretch at McGuirk Stadium.